From 7 to 31 December 2018. Receive a $20 Frasers Property Gift Card + Hair Brush (worth $18)* when you spend $42 on our 3 in 1 Scalp Relaxation Therapy (U.P $442). 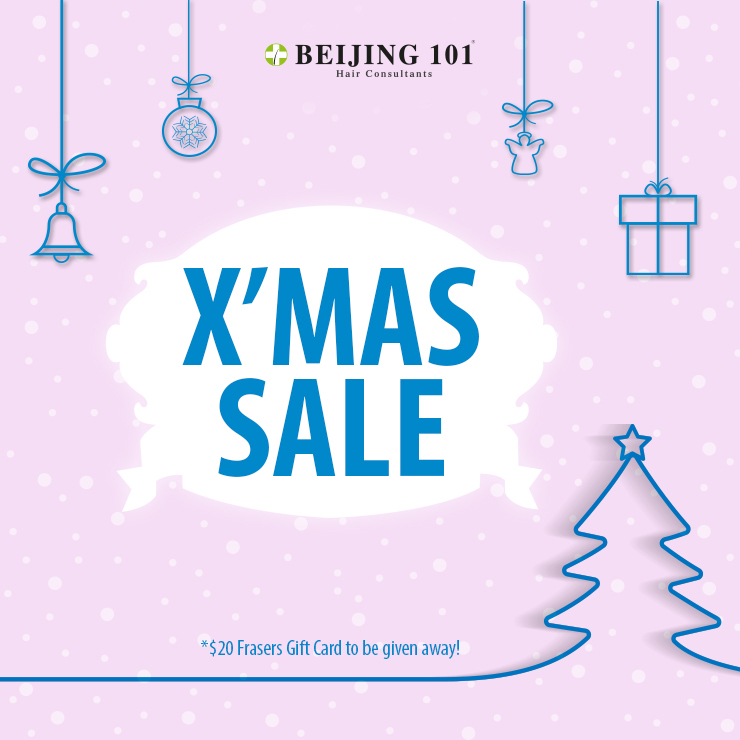 Valid from NOW until 31 Dec 2018. Applicable for first time customers aged 18 years old and above. Call 6-5588-101 and quote “North Point” upon appointment. Prior appointment booking is required. *Redeemable after treatment. Other T&Cs apply.